Washington is known as “The Evergreen State”, which is pretty accurate. It’s covered with beautiful greenery has rainy seasons in most places that help support the natural plant life. This state is a great place for camping because it brings you close to nature- not too hard, since there’s a lot of it! 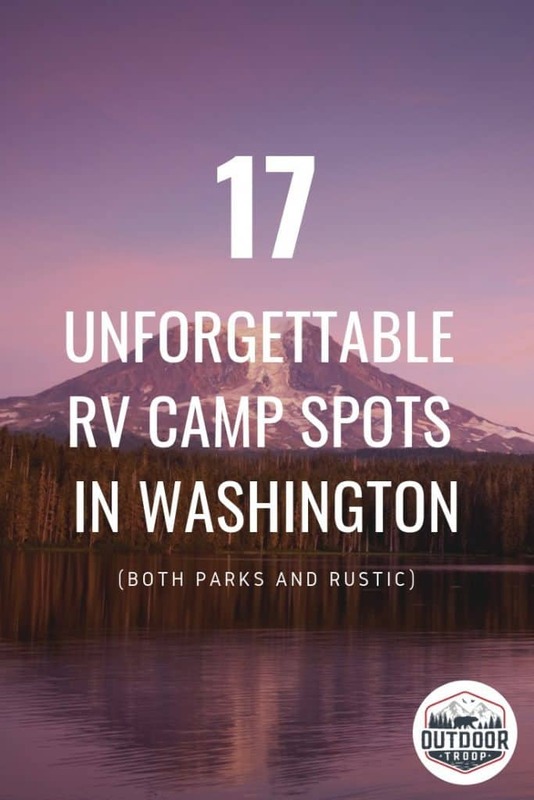 In this article, I’ll list some examples of the fantastic parks and campsites that are scattered around Washington, including some of the amenities they offer and their rates. If you’re looking for a place to go camping, then you might consider one of these! 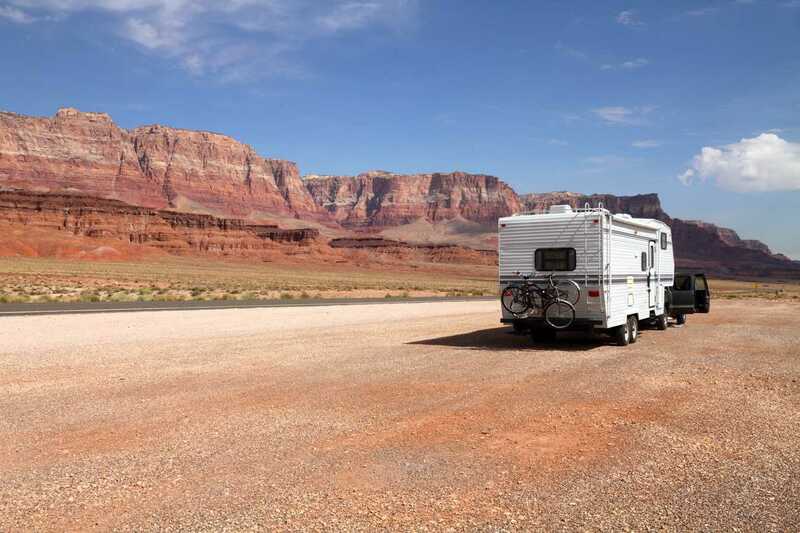 Here are some RV parks that are awesome for a getaway. Wine Country has one thing you might remember about it: they offer wine tasting. On select evenings between March and October, they have pourings with 20 rotating wineries. If you want to try some new types of wine, then consider booking during this time. Bill’s Berry Farm: You can pick berries! Prosser Aquatic Center: If it’s hot outside, or you want a way to enjoy a warm afternoon, your family can cool off here. Sage Bluff Alpacas: Petting alpacas?! Sign me up! Brewminati: This is a coffee shop in downtown Prosser. You can go and enjoy live music or concerts from a wide variety of artists. All shows are open to all ages unless otherwise noted. Wine Country doesn’t want you to be bored, so they’re making sure you’re equipped to have as much fun as possible during your stay! 2 meeting rooms large enough to accommodate 60 people and are equipped with full kitchens – perfect for gatherings! 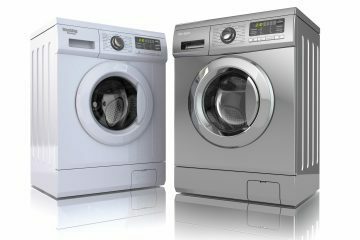 Prices are based off their off season rates (November 1st through March 1st). Elwha jokingly calls itself “The Best RV Park by a Dam Site”, even though the dam it was named after was removed over twenty years ago. It holds true to its “best” remarks: Elwha has 10 consecutive Best of Port Angeles Awards in RV Parks, which qualifies for Port Angeles’ Business Hall of Fame. That’s how you know you’re dealing with a good place. It’s a very scenic place to stay, since it’s right by the Elwha River Canyon (which is absolutely gorgeous, by the way). There are also several trails that take you all over the Olympic mountains. Campers are a short drive from Olympic National Park, so if they feel like they’ve exhausted all their resources at Elwha, more adventure is just around the corner! 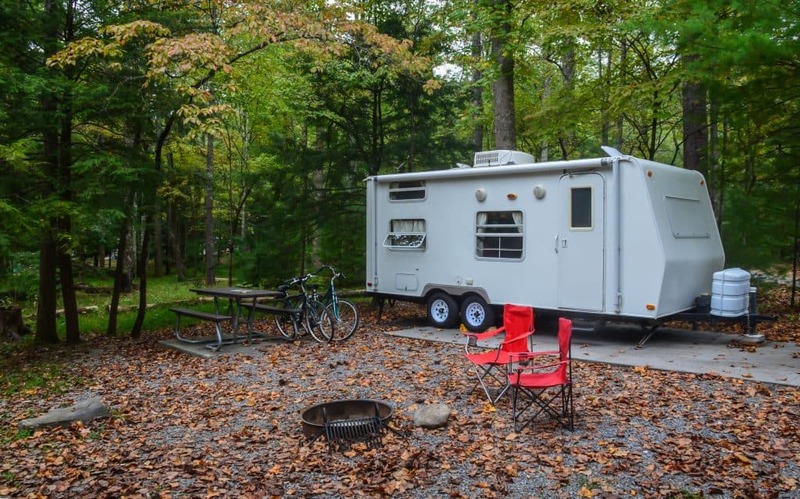 But there are so many amenities that they provide, both inside individual campgrounds and around the park, that you might just want to stay because of how comfortable it is. 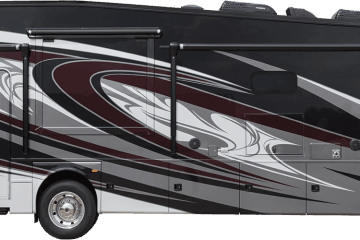 Members of the Good Sam RV Club can get 10% off. There’s no better way to camp. Whether you’re traveling with children, pets, or taking a vacation by yourself, this park is a fun place to stay at. The first thing you will notice is the beautiful 13 mile-long Mayfield Lake the park is located by. This means there is a whole slew of water activities for you to do, such as kayaking, fishing, water or jet skiing, or just taking a dip. Harmony Lake is prepared with boat rentals if you don’t bring one. Harmony Lake is surrounded by beautiful sights, not just from the lake. The park is close to Mt. St. Helens and Mt. Rainier. It’s also up to a 2-hour drive from Portland, Yakima, and Seattle, so you can travel to all of these sights and places to either take in the view or explore the fun that there is to offer. 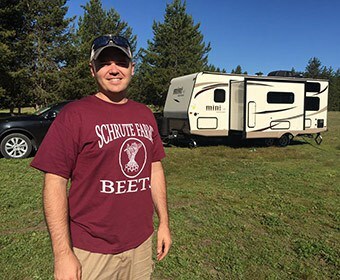 Whether you’re staying for the weekend or for an hour to take a break between travels, Harmony Lake is a place that’s known for being a great place to have a family camping retreat, and if you stay once, you’ll want to stay there again. Private clubhouse for clubs or gatherings. Fits up to 80 people. First price is for back-in sites; second price is for pull-thru sites. Off season is October 1st through May 15th. In season is May 16th through September 30th. Good Sam, AAA, FMCA, and active military discounts are available. There is a LOT to do in Timberlake. 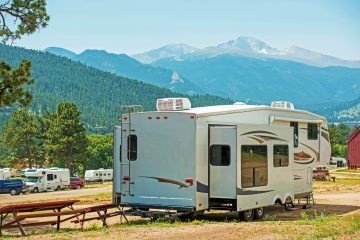 This RV park is surrounded by attractions and activities. Around the area, there are many scenic places to stop and soak in. Timberlake is right on the edge of Washington- you walk a little ways south, and you’re in Oregon. Within 50 miles are the cities of Stevenson, Cascade Locks, Hood River, and The Dalles. Each of these cities have their own attractions and activities to do, including several museums. It’s a refreshing experience where you can learn more about Washington’s history. If you want to take in more of the great outdoors, you can take a trip to Multnomah Falls. It’s a breathtaking place with a waterfall that’s over 600-feet tall. All sites offer water and electric. 25 sites offer full hookup. 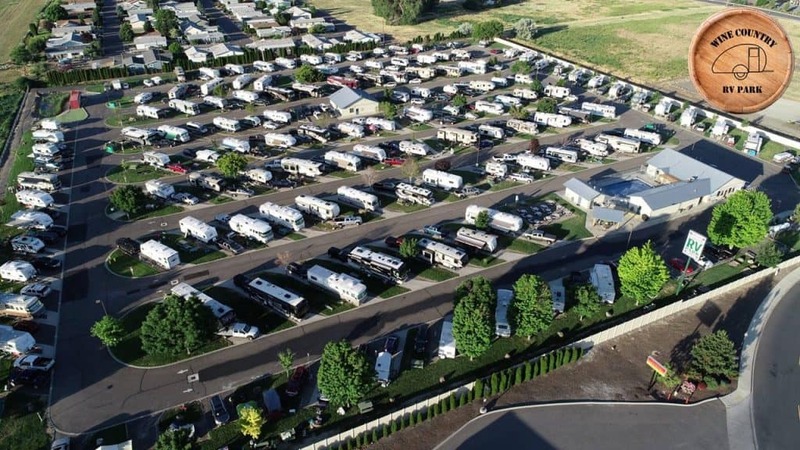 Riverbend RV Park is a beautiful park located in the city of Twisp, Washington. Sitting on the banks of the Methow River, this RV park is sure to offer incredible views, along with wholesome, outdoor activities that the whole family will love. There are many different amenities and activities that this park and the surrounding cities have to offer. From the Methow Valley Farmer’s Market to the Shafer Museum, there is fun for everyone. You won’t ever need to worry about getting bored when staying at this location. 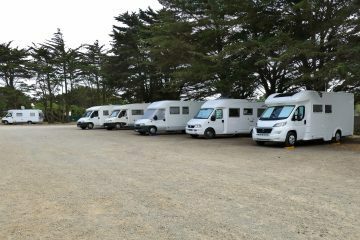 There are also many outdoor activities available at this RV Park and in the surrounding city. Things like hunting, swimming, and fishing, just to name a few. I would highly reccomend this park as one that will entertain and accomodate the whole family! 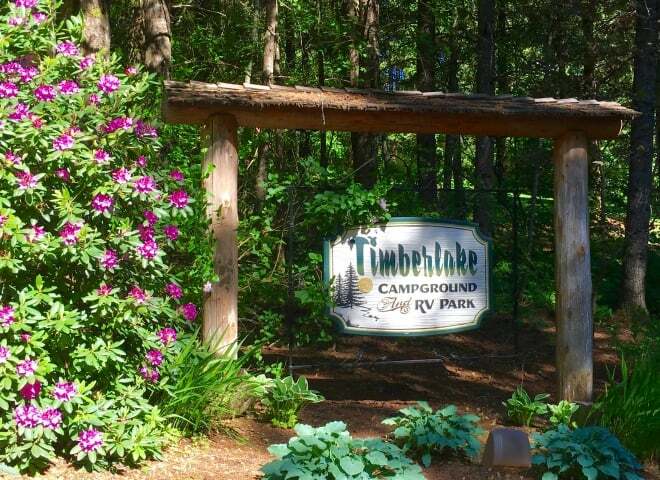 One of the best things about this RV park is how close it is to Seattle – 17.6 miles! Seattle alone has several sightseeing places to check out, such as the Space Needle, the Museum of Pop Culture, the Pacific Science Center, and the Seattle Aquarium. Eagle Tree itself is a beautiful place. It’s surrounded by a cedar forest, so you have a great chance at spotting roaming wildlife. At the end of the day, Eagle Tree will help you relax and unwind after an exhausting day of exploration. $39.85 per night. From October 1st to May 1st, you can stay for a week for $230. Good Sam members get a 10% discount. Escapee members get a 15% discount. The fun thing about state parks is they’re always equipped to ensure you’ll have a fun time during your stay. Fort Flagler is rich with history. It was built in the 1890s, and it was manned during World War I, World War II, and the Korean War. During the summer, there are guided tours where you can learn about the different facilities that were used during these critical moments in history. If you’re a military, armament, or maritime enthusiast, or if you love to learn about US history, Fort Flagler is a gem that you should mark on your list. Other than the historical abundance, there are many activities that campers can do. There’s hiking through over 7 miles of trails, boating, kite-flying, beach exploration, saltwater fishing, clam digging, and crabbing. If you’re an experienced paraglider, this is a great place to paraglide! $8 for reservations made online. $10 for reservations made through the Reservation Center number. 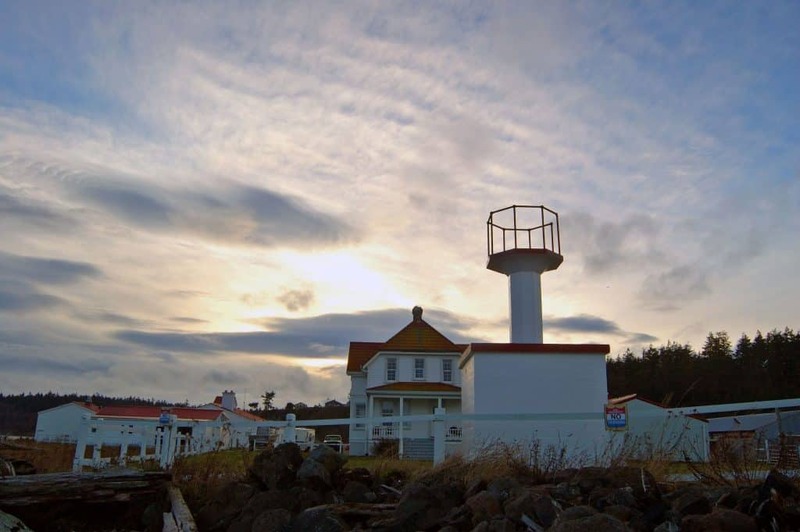 Peach Beach is another place that has quite a few memorial and historical attractions. In fact, it’s close to the Maryhill Museum of Art, just like Timberlake. One place I want to mention in particular is the Goldendale Observatory State Park, which is currently in the Stonehenge Memorial. During the summer, you can come here and watch the stars using one of the largest public telescopes in the country! One night, you can stargaze in your campsite, and the next you can see those stars up close! There are two breathtaking sites about Peach Beach RV Park. The first is the Columbia River. This is a great place to go swimming, windsurfing, boating, and kiteboarding. But when evening comes, you can enjoy some beautiful sunsets that make the water glisten and shine different colors. The second is the peach orchards surrounding the park. Peach Beach is privately owned by the Gunkel Family, who also owns Gunkel orchards, so that means Peach Beach used to be just a peach orchard. You can picnic and play among the peaches. and take in the beautiful colors the trees will take on as the seasons go by. Whatever you’re visiting for… We have something for everyone! The city of Kennewick has a special place in my heart. If I were to suggest one time of year to stay at this resort, it would be the last week of August. Every year during this week, Kennewick holds their Benton Franklin Fair & Rodeo, one of the largest and most popular fairs in southern Washington. People from surrounding cities flock to this event. There’s rides, food, and live performances during the entirety of this week, as well as other fun things to attend such as truck rallies and rodeos. If you want to end your summer right, I definitely recommend this place! Columbia Sun has a lot to offer. There are golf courses, wineries, and over 60 miles of paved trails all around you. All of their 145 sites have full hookups. If you’re a frisbee enthusiast or just like the sport, there’s frisbee golf equipment available for rent. While most of these parks encourage smaller groups, Columbia Sun loves bigger groups! If you have a big family or a group of friends you want to go camping with, this is a great place to stay. If you want to stay for a month, you need to call the resort for their rates. Located just on the edge of the Olympia National Forest, Kalaloch borders the sea. There are some oceanfront campsites, but all campsites are close to the shore. The beach is beautiful. If you’re an early riser, you can enjoy the sunrise, but you can always enjoy just as breathtaking sunsets. It’s a great place for water activities. Whether you want to go swimming, surf across the water, or stay on the shore and relax. The best times to visit are June through September, as there are fewer rainy days during the month. If you want to take a break from the ocean, you can enjoy the forest that your campgrounds are surrounded in or go for a walk on Kalaloch’s nature trail. It’s short- less than a mile- but it makes up for it with its wildlife and scenery. Nason Creek is a great place to camp if you want to avoid crowds staying at Lake Wenatchee State Park, and it’s only half a mile south. 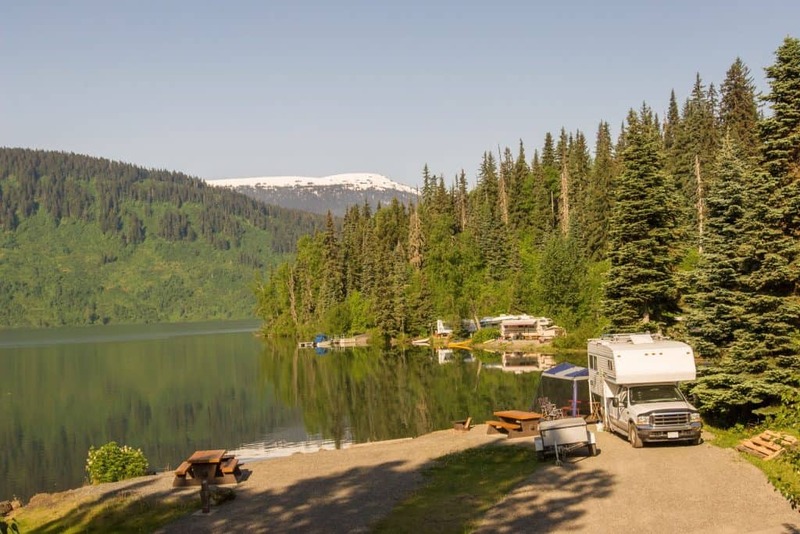 You could camp at Nason Creek and still enjoy the activities offered at Lake Wenatchee- it’s only a short walk away. The campgrounds are surrounded by trees, and almost all sites are right next to the creek the campground is named after. In the summer, you can enjoy fishing; during the winter, you can bring your equipment and head to the north and south parts of the park to enjoy some snowshoeing or skiing. Nason Creek itself is limited with its amenities, supplying your campsite with your basic needs, but you’ll be surrounded by multiple activities that can keep you entertained during your stay. Prices: $23 per night. Any extra vehicles cost $14 per night. For day use, it’s $7 per vehicle every day. Another campground located in a national park, Colonial Creek is located on the shores of Diablo Lake. Standing on the shores of the lake, you can see the giant forests and hills surrounding you. It’s an incredible sight to take in. Along with the beautiful scenery, there are several outdoor activities you can enjoy. The lake itself provides several fun activities, such as fishing, kayaking, canoeing, and swimming (Warning- the water’s cold!). If you want to go out and surround yourself in the forest, hiking through the Thunder Knob trail will satisfy your needs. The campgrounds are open from May through September, which means you’ll be able to enjoy the area during the nicest and clearest times of the year. Salt Creek was once used during World War II as a harbor defense military base called Camp Hayden. When you come to visit, you can observe the bunkers, which are the last remnants of the camp. Surrounded by water, you can take in the Strait of Juan de Fuca and Crescent Bay at the same time. If you’re going by yourself, or you’re taking a family vacation, Salt Creek is a great place to visit. Friends and families can enjoy the basketball and volleyball courts and softball field. When you want to take a break, you can head down to the beach and relax while the kids build sand castles or go swimming. At night, you can gaze at the stars. If you’re wanting to go somewhere quiet but still beautiful, Takhlakh is the perfect place. There are only a handful of campsites available, but reservations can be made to ensure you snag a spot. In the morning, you can watch the early sunlight peek through the trees and shower the place in a heavenly glow. And, of course, there’s Takhlakh Lake. 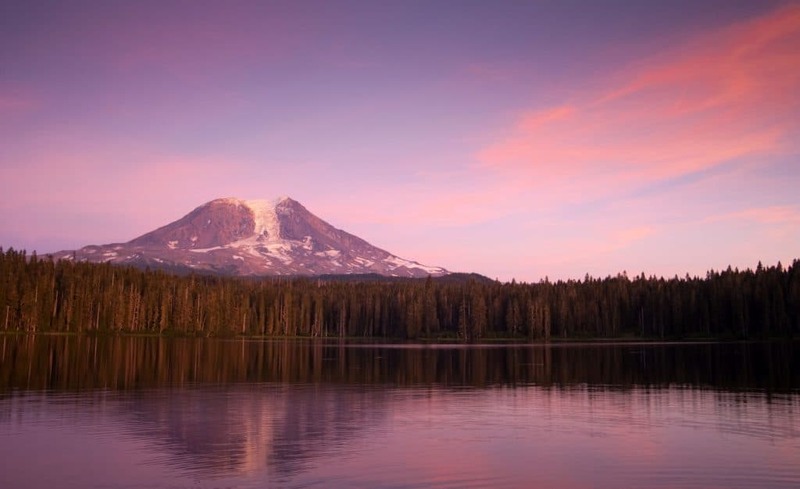 With Mount Adams towering over the pristine lake, it’s a sight to behold. You can enjoy some fishing, kayaking, or hiking through the small trails nearby. 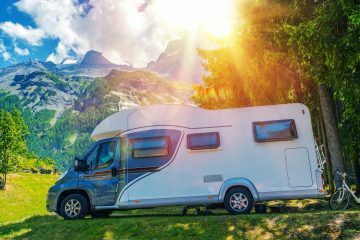 There aren’t many amenities that are offered- no showers or running water, and there are restrictions on RV sizes- but if you’re willing to live it rough for a time, Takhlakh will reward you. Prices: $18 per night. Extra vehicles are $9 each. Day use costs $5 per vehicle every day. Wanapum is also known as the “Ginkgo Petrified Forest”… which sounds amazing. This is one of the most diverse fossil forests in North America. Here, you can view rare, petrified Ginkgo trees that were discovered back in 1932. The campsite is rather barren aside from these ginkgo trees and some grassy areas, which is what I think makes it so beautiful. There’s something charming about viewing a river on a desert plain, with small shrubs and petrified chunks of wood decorating the ground. If you want to learn more about the petrified artifacts, there’s an Interpretive Center where you can view 30 varieties of petrified wood. The best part: the center is free for everyone! After you’ve learned all you can about ginkgo trees, you can enjoy several water activities in the Wanapum Reservoir. You can go boating, freshwater fishing, water skiing, or swimming. Or you can relax with a picnic while observing the wildlife that lives in the area. Ohanapecosh is huge compared to the other campgrounds we’ve discussed. With almost 200 sites, you’ll be with other camping enthusiasts. You’ll be surrounded in an old-growth forest that rests along a beautiful river. During the day, you can enjoy some swimming, hiking, or relaxing. At dusk, you can watch tiny bats dive over the river searching for food. When night comes, the rangers have got you covered with campfire slide shows. There aren’t any showers, unfortunately, but Ohanapecosh makes up for it with amazing nature and fun activities. 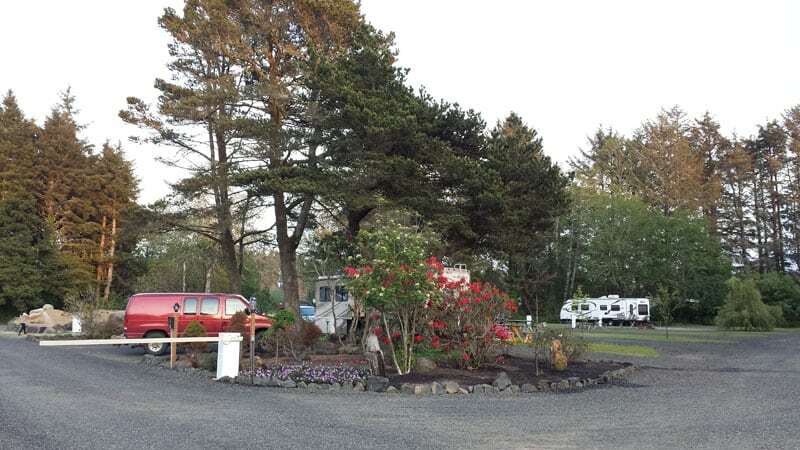 The last on the list is a beautiful RV campground just north of Ocean Shores and Ocean City on State Route 109, so it is convenient for a fun trip to the beach. During the non-summer months, there are also frequently scheduled clam digs on the beaches which can make for a fun family activity. Speaking of activities, the local area always has a lot going on. There is a “Chocolate on the Beach Festival” which sounds incredible, a barbershop show, a UFO Paranormal Summit, a fun run, a wearable art show, fireworks shows, a “Woof-A-Thon,” arts and crafts festivals, and more! There’s an event for pretty much everyone’s interests. The camp itself has gorgeous tall trees and beautiful greenery, as well as bodies of water. It’s truly an escape to nature. You can’t really go wrong by choosing to stay at this site! Prices: $43 a night with full hookups, cable, and WiFi.